What's the Right Age to Give Your Child a Cell Phone? 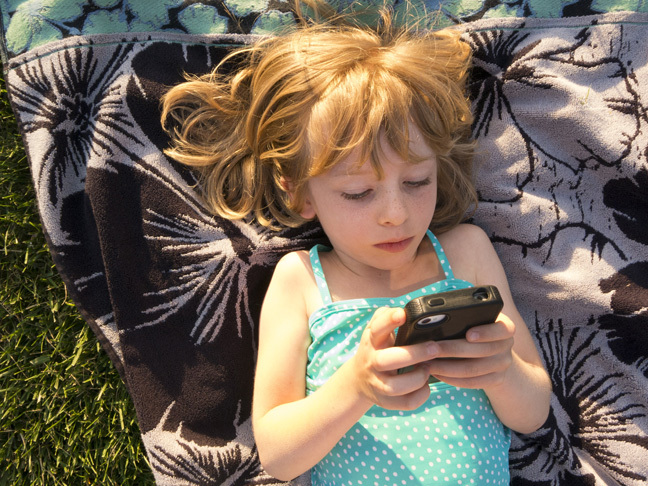 What’s the Right Age to Give Your Child a Cell Phone? When I was a kid and wanted to call my friends, I’d use a rotary phone (yes, I’m old) and lounge on a nearby chair to chat. I’d twirl the cord in my fingers and pace the few feet I was allowed while my mom cooked dinner in the next room and my sisters sprawled on the floor around me. Cell phones weren't even an option during my childhood, but of course they're everywhere now. As my children get older, begin to participate in sports, are at various afterschool activities, and move between two homes, it occurred to me that it might not be a bad idea to get them a cell to share — even at the young ages of eight and nearly five. Especially since we don't have a land line at our house. With most of my married friends, the responses seemed to be a little different. Most of them are letting their children have cell phones between the ages of 10 and 13, and some are waiting until their children can purchase their own phones. It’s yet another reminder the world is a vastly different place than it was when I was a kid. I was trained by my parents to call 911 in case of an emergency. The phone was always in the same place, even if my parents were away from home. I’ve come to realize that asking prospective babysitters whether they have cell phones is top on my list and making sure mine stays in the same place is also important in case my kids need to make a call in an emergency. As Joseph tells me, no one wants to hunt for the phone if there’s a fire. When did you allow your kid to have a cell phone?